Black Beauty spends his youth in a loving home, surrounded by friends and cared for by his owners. But when circumstances change, he learns that not all humans are so kind. Passed from hand to hand, Black Beauty witnesses love and cruelty, wealth and poverty, friendship and hardship . . . Will the handsome horse ever find a happy and lasting home? Carefully retold in clear contemporary language, and presented with delightful illustrations, these favorite classic stories capture the heart and imagination of young readers. By retelling the story in a shorter, simpler form, these books become highly engaging for children, and the color illustrations help with both comprehension and interest level. Black Beauty is part of a collectible series that has strong gift appeal. 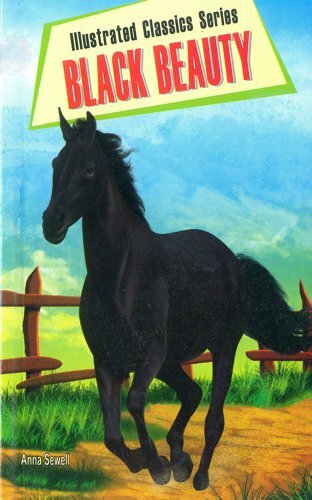 Have you read Black Beauty? Isn’t this just the best? It was one of my all time favorite books when I was a kid. I read it until it fell apart in my hands! Thanks for sharing this one today! You’re welcome!! It was one of my favorites growing up too. A children’s classic not easily forgotten. When I was a child this and Little Women were both on my headboard bookcase. They were worn and well loved editions. Both were my favorites too! !